After testing, some oils show that they are in very poor condition. This reduces the ability of the oil to perform its primary functions. 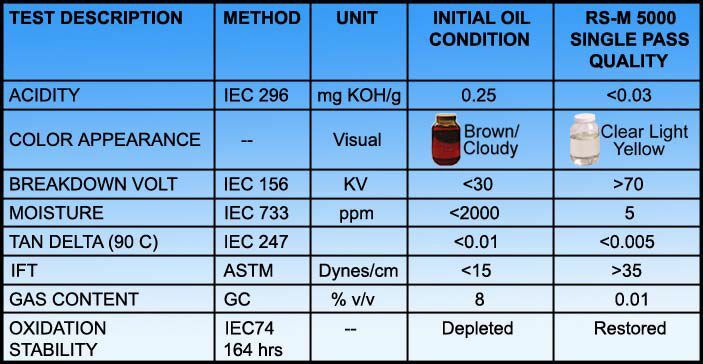 In these circumstances the oil may need to be regenerated to bring it back to near new condition as described under IEC 60422 or IEEE C57.106-1991 standards. Using our fully automated reclamation unit we can regenerate the oil. Please refer to the table below for performance analysis.